Top leaders take the stage to explore the ideas of tomorrow. We are searching for speakers who have something unique to provide one of the biggest audiences in construction technology. We want innovators, industry-shifters, change-makers, and everyone in between. We are accepting applications for speakers on a variety of topics to educate, inspire, or entertain your fellow construction professionals. If you are interested, click the button below to fill out your application. Legendary quarterback Peyton Manning, the NFL's only five-time MVP and a 14-time Pro Bowl selection, earned his place among the greatest quarterbacks in league history as a leader in nearly every statistical passing category. 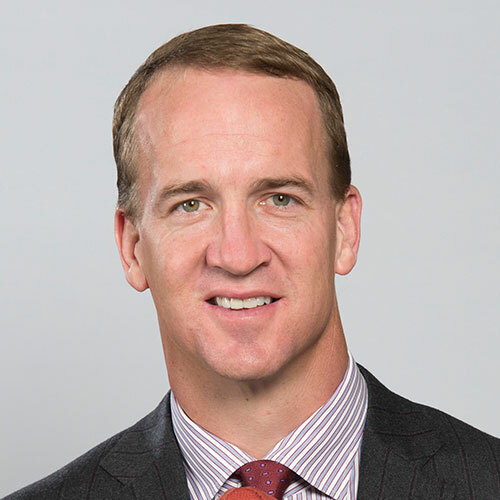 Manning now serves as a member of the American Red Cross National Celebrity Cabinet and The Pat Summit Foundation Advisory Board. He and his wife, Ashley, established the PeyBack Foundation in 1999 to promote the future success of disadvantaged youth by assisting programs that provide leadership and growth opportunities for children at risk. 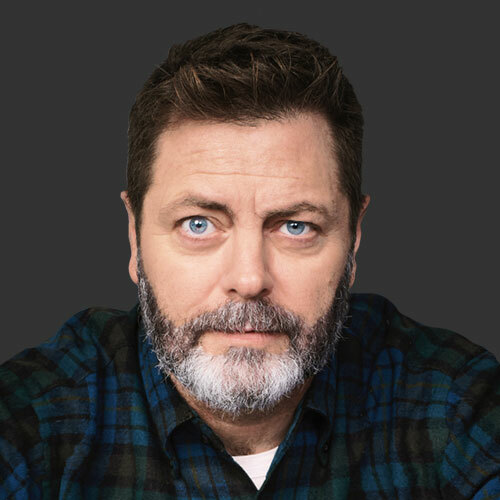 Nick Offerman grew up in Minooka, Illinois. He received a Bachelor of Fine Arts from the University of Illinois at Urbana-Champaign in 1993. That year, he and a group of fellow students co-founded the Defiant Theatre, a Chicago-based theatre company. Offerman can currently be seen on the TV series, "Parks and Recreation" on NBC as Ron Swanson, a meat-loving, wood-working, libertarian and director of the Parks and Recreation Department of Pawnee. Slate magazine declared Offerman "Parks and Recreation's secret weapon," and said he regularly stole scenes and "has a gift for understated physical comedy." 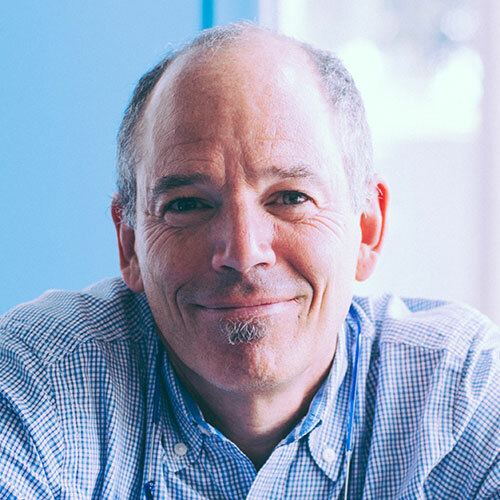 Marc Randolph is a veteran Silicon Valley entrepreneur, advisor, investor and motivational keynote speaker. Marc was co-founder of the online movie and television streaming service Netflix, serving as their founding CEO, as the executive producer of their website, and as a member of their board of directors until his retirement in 2004. Although best known for starting Netflix, Marc's career as an entrepreneur spans more than four decades. He's been a founder of more than half a dozen other successful start-ups, a mentor to hundreds of early-stage entrepreneurs, and an investor in numerous successful (and an even larger number of unsuccessful) tech ventures. 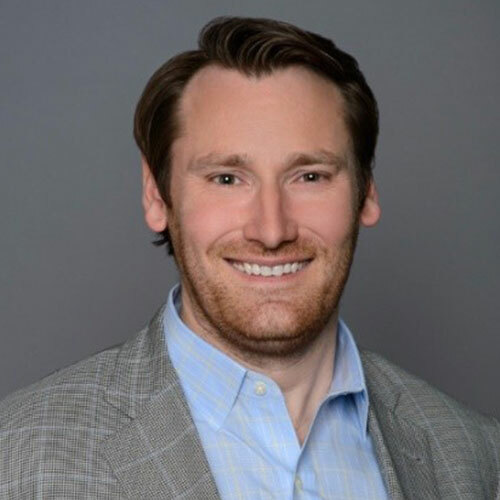 Most recently, Randolph co-founded an analytics software company Looker Data Sciences, and currently serves as an advisor to numerous other startups, serving variously as a mentor, CEO coach, and/or board member. He is a frequent speaker at industry events, works extensively with young entrepreneur programs, and is a trustee of the non-profit National Outdoor Leadership School. Marc Randolph is charming, handsome and modest; and whenever possible avoids referring to himself in the third person. He lives in Santa Cruz, California. Robin Zander (vocals, rhythm guitar), Rick Nielsen (lead guitar) and Tom Petersson (bass guitar) are part of the very fiber of American music, inspiring and delighting generations with their unique union of massive melodies and razorblade riffs, their own special brand of mischievous wit and maximum rock 'n' roll. Since the '70s, they've been blending elements of pop, punk and even metal in a way that is instantly catchy and recognizable. 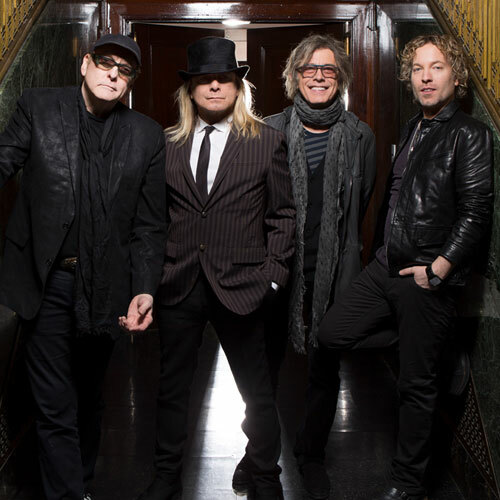 With timeless classics such as "I Want You to Want Me" and "Surrender," Cheap Trick, now with drummer Daxx Nielsen, are a musical institution. The Rockford, IL band is as vital today as ever, having released three records in the last three years—Bang, Zoom, Crazy...Hello, We're All Alright, and Christmas Christmas—and toured relentlessly to packed audiences around the world. 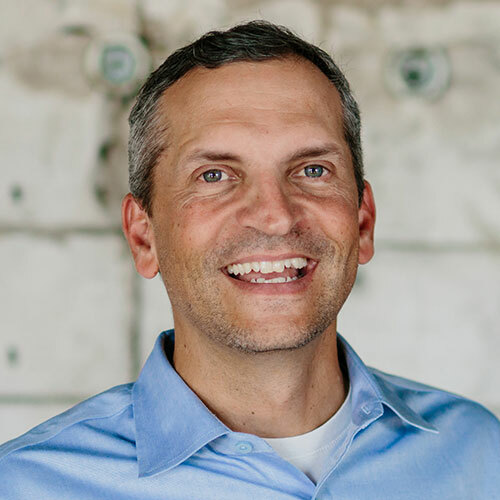 Steve Zahm is the President and COO of Procore where he is responsible for overseeing revenue generation and customer success at the company. 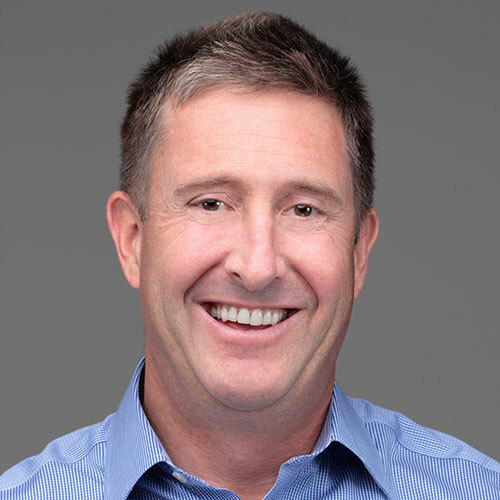 Prior to Procore, Steve co-founded DigitalThink, one of the first significant cloud-based software companies in the corporate learning industry. While at DigitalThink, Steve was responsible for marketing and business development efforts. DigitalThink had its IPO in 2000, and was later sold to Convergys Corp. for $120 million. Steve received his BA from Stanford University and his MBA from the Haas School of Business at UC Berkeley. Jit Kee Chin is the Chief Data Officer and Executive Vice President at Suffolk and is responsible for leveraging big data and advanced analytics to improve the organization's core business. 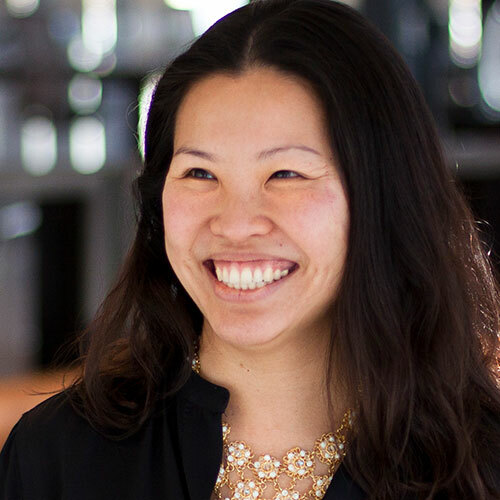 Ms. Chin is also responsible for helping to position Suffolk to achieve its vision of transforming the construction experience while working closely with the company's Innovation and Strategy teams to fundamentally reinvent the future of construction in the digital age. Ms. Chin holds a PhD in Physics from the Massachusetts Institute of Technology and a BS from the California Institute of Technology. Rob Krueger serves as the CEO of WIELAND, an ENR top 250 contractor. 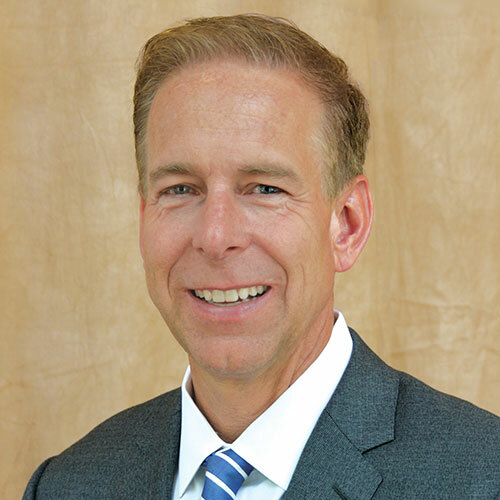 As an innovative, highenergy leader, he championed a corporate rebranding effort that served as a catalyst for transforming WIELAND's corporate culture. Understanding that transformation is a process, Rob encourages his team to enjoy the journey and not settle for the quick fix. RARE Leadership principals provide the foundation for Rob to increase trust, joy and engagement in those he leads. Educational credentials include Construction Engineering from Western Michigan University and MBA from University of Michigan's Ross School of Business. Dave Burns is the Director of Innovation & Field Applications for McCarthy Building Companies. 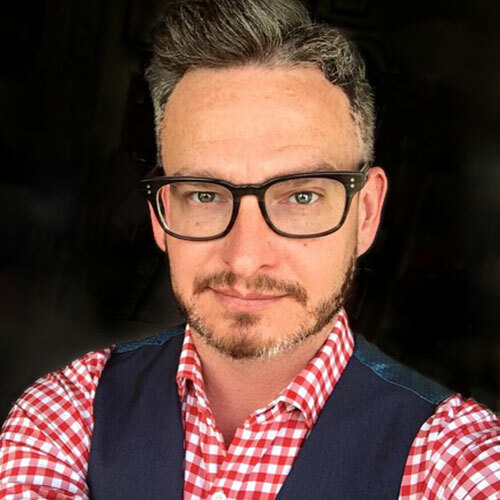 Dave has over 13 years of technology implementation experience within the construction industry, with a strategic focus on large scale enterprise systems design, evaluations and deployments. 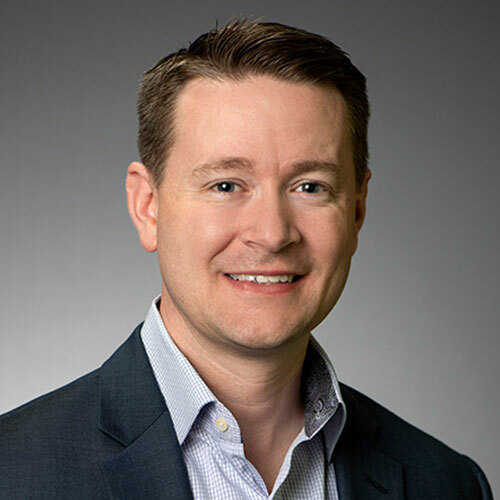 In his current role, Dave is responsible for developing the organization's innovation competencies, including best-in-class research, identification, prioritization and execution of new value-add technology capabilities across the organization. Srinivasan Murali ("Murali") is a Field Applications manager at McCarthy, where he leads a team of implementation specialists in rolling out Procore and other solutions for the organization's field staff. Prior to joining McCarthy, Murali worked as an implementation specialist for a systems integrator, where his focus was on ERP applications including Oracle E-Business Suite. 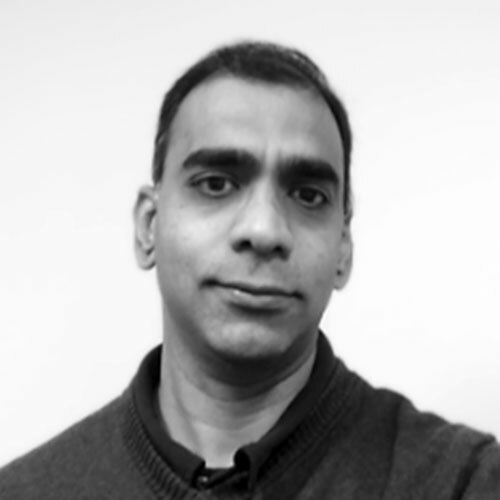 Murali brings his extensive knowledge of application technologies and business analysis experience to his current role. Murali has an M.B.A. from the University of Missouri, St. Louis. 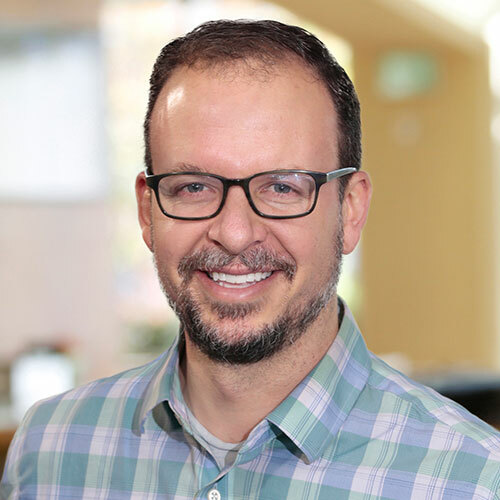 Michael serves as a Chief Information Officer (CIO) for Procore Technologies, responsible for guiding and directing the company's global information technology activities, including architecture, design, implementation, operations and security. Michael has 30 years of experience in information security architecture and IT operations, specializing in service management, cryptography and network engineering. He has current CISM, Six Sigma Black Belt, CIPP, GLEG, ITILv3 and PMP certifications. During his career in the Navy, Harry served as Commanding Officer of the Naval Regional Contracting Center (NRCC), Naples, Italy. NRCC's Area of Responsibility included Iceland, Europe, Africa, Southwest Asia and the Persian Gulf region. 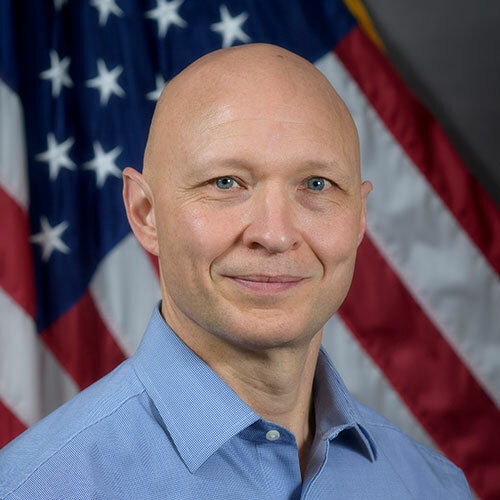 He was also the first senior Contracting officer for Operation Joint Endeavor in Croatia / Bosnia - Herzegovina in 1995. He authored contingency contracting procedures for the first time ever out of sector NATO operation, which the senior leadership of NATO cited as a successful logistics force multiplier. 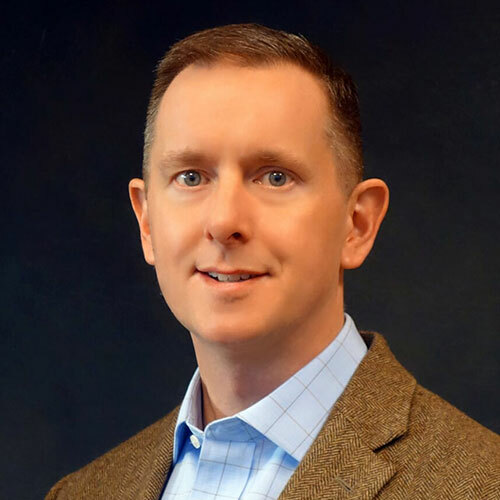 He was personally involved in Quality Initiatives and lean Six Sigma projects through his Navy Career. Jennifer Schaus has more than 20 years' government contracting experience. Her area of expertise is in the Federal Supply Schedules (FSS) including The GSA and VA Schedule contract vehicles. Based in downtown Washington DC, she and her team help clients from pre-award strategic plans, to proposal writing, federal sales, marketing and pricing through to post-award contract administration. 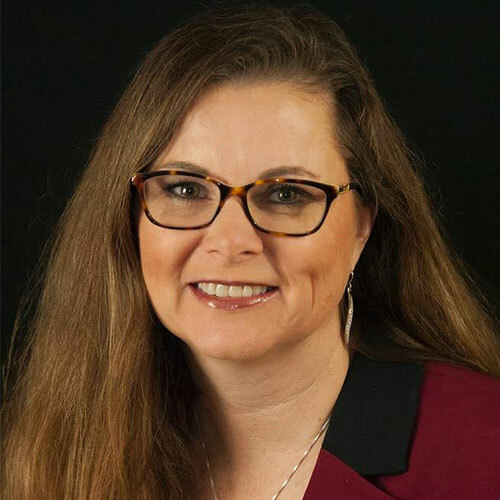 Stacey Coolican is a career Department of Defense senior Contracting Officer (unlimited warrant), service-disabled veteran and Certified Professional Contracts Manager (CPCM). 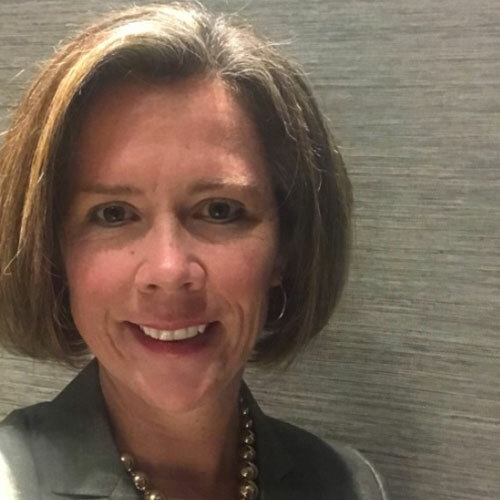 During a distinguished 20-plus year civil service career, Stacey served as a contract specialist and Contracting Officer for several agencies within the Department of Defense and is now the CEO of Coolican Consulting, LLC. 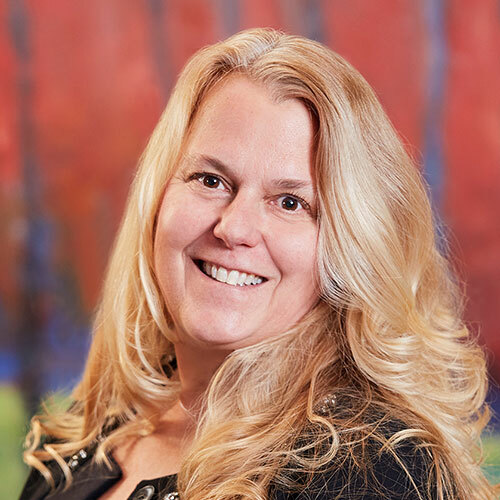 She has experience in all facets and phases of Government contracting in both commercial and noncommercial supplies and services and an in depth knowledge of the FAR, DFARS and DoD 5000. 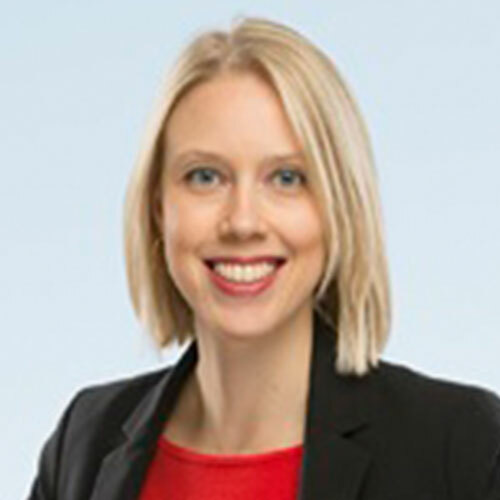 Sarah Forrest is Chief Estimator for Hensel Phelps. 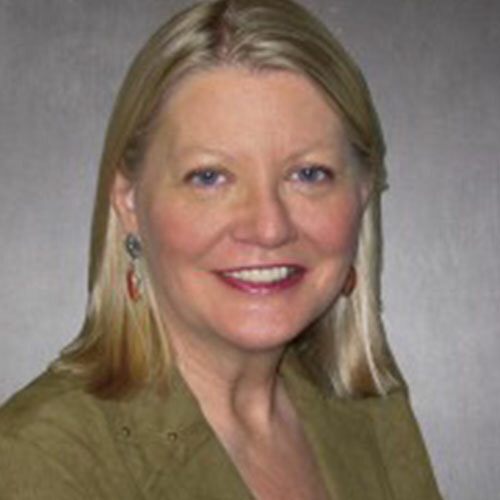 She is responsible for all estimating and procurement for the Mid-Atlantic Region. Sarah's role includes future market analysis, construction cost tracking, and management of the best group of estimators on the planet. As an Estimating Intern for Hensel Phelps Sarah became a firm believer in the "Hensel Phelps Way" making it an easy decision to hire on permanently after graduation from Kansas State University. After 22 years at Hensel Phelps Sarah is certain this was the best decision she ever made! Bob has spent much of his 28-year career in construction with a focus on delivering the best and highest quality product for his clients. He enjoys a lot about the construction industry, especially uncovering, understanding, and eliminating any source of concern for a client by addressing it with a dynamic, curated team and putting a plan in place with every team player that will lead to success for all. The mission of the ACE Mentor Program is the engage, excite and enlighten high school students to pursue careers in architecture, engineering and construction through mentoring and to support their continued advancement in the industry. As the President for the ACE Mentor Program of America, Diana is overseeing the operation of the program including the 70 affiliates in 33 states. The program engages over 9,000 high school students in a curriculum involving 3,500 volunteer professionals from all sectors construction industry. Geopolitical Strategist Peter Zeihan is a global energy, demographic and security expert. Zeihan's worldview marries the realities of geography and populations to a deep understanding of how global politics impact markets and economic trends, helping industry leaders navigate today's complex mix of geopolitical risks and opportunities. With a keen eye toward what will drive tomorrow's headlines, his irreverent approach transforms topics that are normally dense and heavy into accessible, relevant takeaways for audiences of all types. 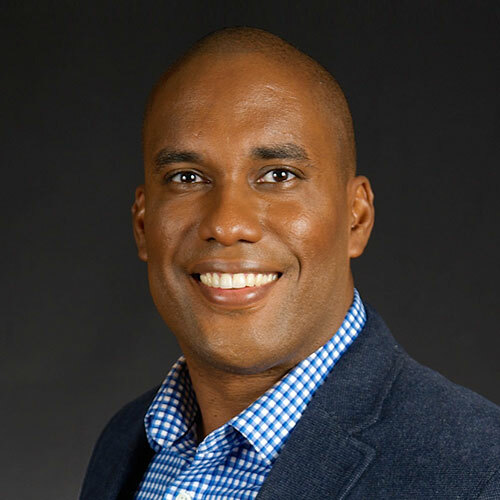 Anjuan operates at the intersection of business and technology by relentlessly focusing on delivering delight to customers while effectively applying engineering talent. 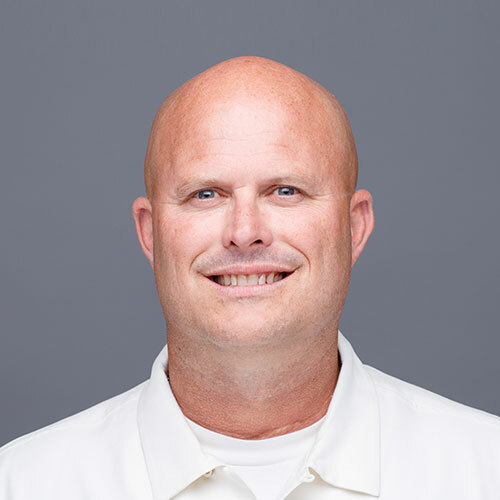 He is currently a Solution Owner at Slalom. Anjuan is a pragmatic Agilist who loves technology and protects the people who ship products to customers. 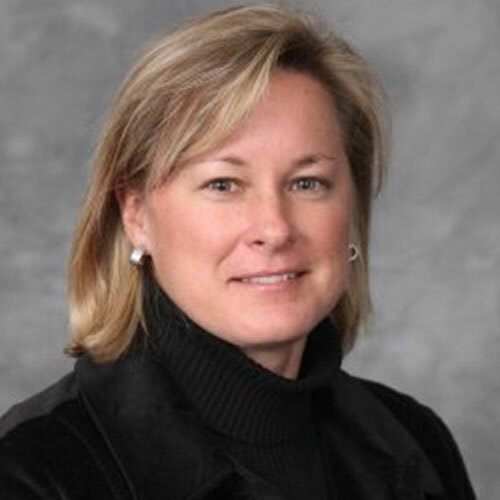 Nancy Novak, Compass Datacenters' SVP of Construction, has over 25 years of construction experience and has overseen the delivery of over $3.5 billion in projects during that time. Nancy is actively involved in a number of organizations dedicated to the advancement of woman in business including Above the Glass Ceiling (AGC) who are working with Fortune 500 companies to aid in the advancement of women in STEM, Women in Government Relations (WGE), Women Construction Owners and Executives (WCOE), The World Trade Center Initiative, Fortune Media's Most Powerful Women and the National Women's Party. Nancy is a frequent speaker on the topic and has participated in the White House Womens and Diversity in STEM forums. Drawing on her 17 years in commercial construction, Tamara has played an instrumental role in Balfour Beatty's organizational transformation as the steward of the company's operational policies, procedures, and progressive learning and development program. Before coming to Balfour Beatty, Tamara held several operations roles at Hensel Phelps and Turner Construction. These experiences have shaped her firm belief that the construction industry must shed its longstanding "command and control" culture and develop employees who exercise transparent leadership, confident collaboration, and innovative solutions. Recognizing that women and diverse employees are vital to the future of the construction industry, in 2017 Tamara helped spearhead a grassroots, internal campaign known as "Connecting Women" with the goal of bringing Balfour Beatty women together with company leaders to facilitate leadership advocacy, networking and mentorship. Jeff has more than 20 years of experience in construction management and operations. He began his career in estimating and progressed from Project Coordination, Project Manager, to Manager of Special Projects Department to Business Development Manager to Operations Manager and now Vice President at Smith Bros & Wilson. Jeff has a well-rounded background and has worked on numerous projects in B.C. and in particular in the lower mainland. He has expertise that includes estimating, project administration, cost control, planning and scheduling, construction methodologies ad quality control. 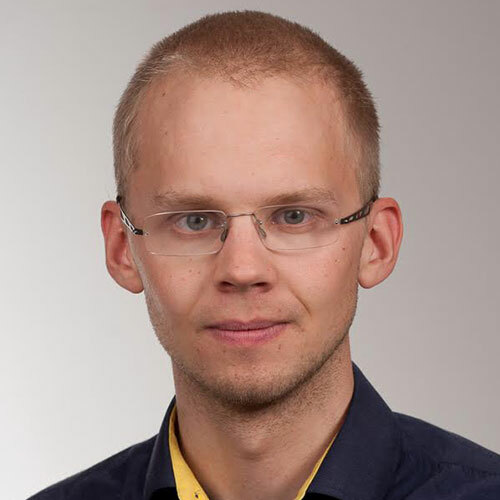 Jonas Pall Vidarsson is the Co-Founder & Project Manager at JTVerk. He has over four years of experience in large-scale construction management, with a distinctive ability to ensure successful initiation, planning, design, execution and closure of diverse construction projects. Jonas practices a streamlined and intuitive approach to handling projects, by using the latest methods and techniques to ensure that the scope and direction of each project is on schedule and within budget. Over the years, he has implemented process improvements across various teams, using Lean Construction ideology and powerful information technology. As CEO, Les Hiscoe provides the leadership and vision required to maintain the continued growth and success of Shawmut Design and Construction, a $1.2 billion national construction management firm. His focus is on creating the most differentiated customer experience in the industry by driving exceptional levels of client service, developing teams of remarkably talented people, and embracing the latest technologies and implementing them across every aspect of the business. 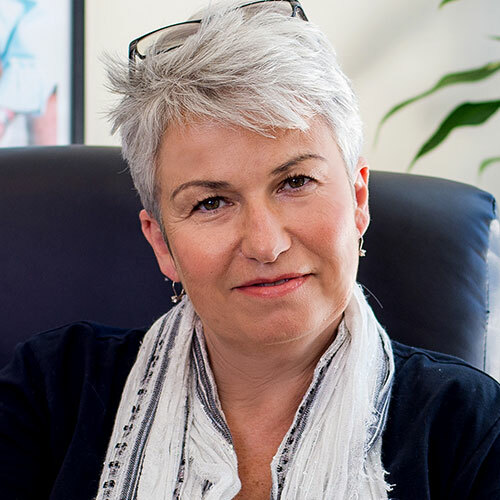 Karen Haycox is an experienced leader in the affordable housing space and joined Habitat for Humanity New York City as CEO in August of 2015. During her tenure at Habitat NYC, Karen has instituted a bold new vision for the organization that includes the launch of the Habitat NYC Community Fund, the organization's emerging CDFI; a founding partnership in the Interboro Community Land Trust, the NYC's first city wide land trust and, a development pipeline that has Habitat well on its' way to serving 2021 families by the year 2021, more than tripling the families served throughout its history. The diverse cross section of projects includes Sydney House, a 56-unit co-op underway in the north Bronx, which will be Habitat for Humanity's largest single-structure, multi-family development ever built anywhere in the world. Dr. James Pocock is an architect and professor of civil engineering at the United States Air Force Academy. His research and teaching interests include architecture, construction management and sustainability, especially in the developing world. He has volunteered on multiple short-term engineering assistance trips to Africa and Latin America. He spent his sabbatical during the 2016-2017 academic year volunteering with Engineering Ministries International in their Uganda office as a research and development specialist. Dr. Pocock will share what he learned from that experience. 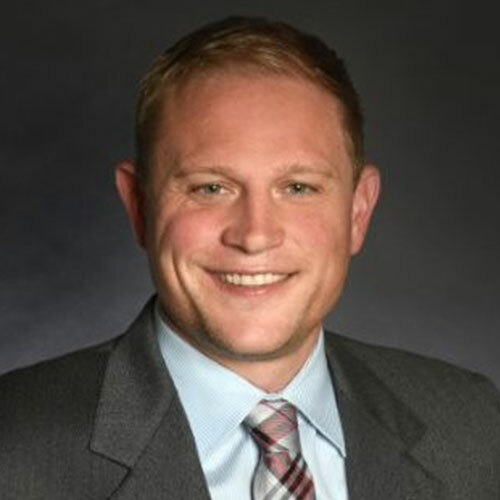 Josh DeStefano is the Southwest Region VDC Manager for DPR Construction. He began his career as a Project Engineer in 2002 and started focusing on construction technology and innovation in 2007. He is currently responsible for overseeing VDC implementation in DPR's Southwest region where his team uses various construction technologies including BIM, augmented and virtual reality, laser scanning, aerial UAV photography, 360 photography to enhance the building process, improve the quality of the built environment, and provide the best experience to partners and clients. Josh has lectured on BIM, Lean, and IPD at local universities and industry events. He is passionate about the exploration and integration of construction technologies and developing his team to provide best-in-class services. 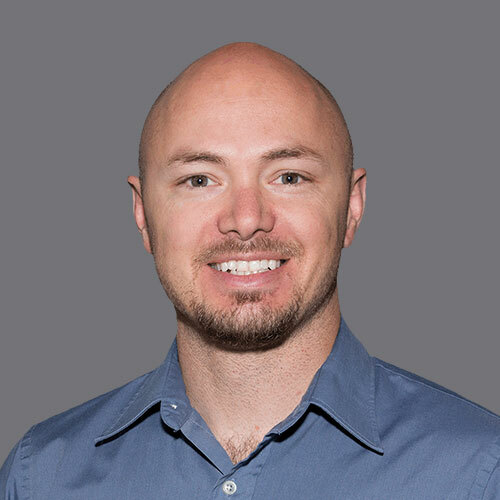 Jordan Moffett has been the Southern California Virtual Design and Construction Manager at McCarthy since his transfer from the company's construction operations in 2014. Prior to joining McCarthy he started his career as an architect working on integrated design-build projects, and then cross-trained in field operations to develop his understanding and expertise in the full cycle of design-build delivery. At McCarthy he works to integrate all team members early on in the design process to enhance collaboration and ensure project success, as well as deliver an exceptional client experience. 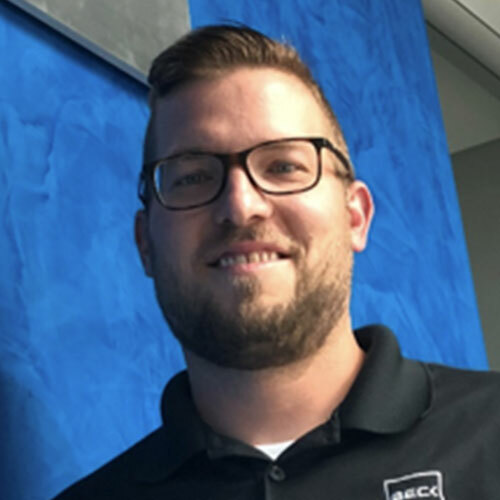 As Manager, Virtual Construction, Nick is responsible for leading PCL's virtual design and construction (VDC) as well as research and development efforts for the organization's US operations. 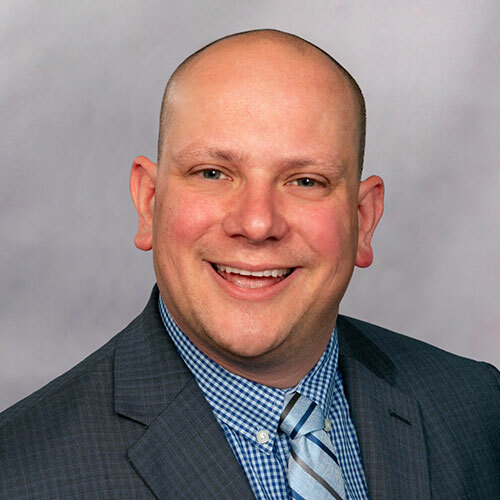 Nick began his career in operations and now focuses on PCL's adoption of integrated technologies, and how these technologies benefit the preconstruction, estimating, planning, management, and field execution phases. Throughout his construction career, Nick has managed projects ranging in value from $40 million to $1 billion. His passion for emerging technologies that improve the construction process makes him a valuable member of PCL's management team. 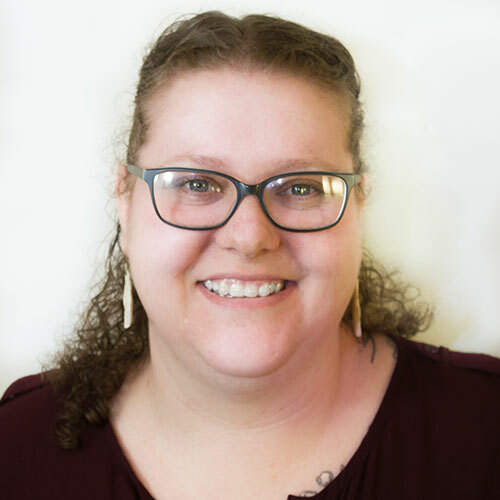 Tiffany Thompson graduated from the University of Idaho with a BA in French Foreign Languages and Literatures and a Certificate in Diversity and Stratification. She has worked at Oregon Tradeswomen, Inc. since 2013, focusing on issues of retention and public advocacy for tradeswomen. Currently, she is managing a project to address harassment and bullying in the construction industry. She also brings experience in awareness campaigns and event planning. She serves on the Oregon Employment Department Advisory Committee and the Tri-Met Equity Advisory Committee. David Margolius is the head of the retail division at Shawmut Design and Construction, a leading $1.2 billion national construction management firm. 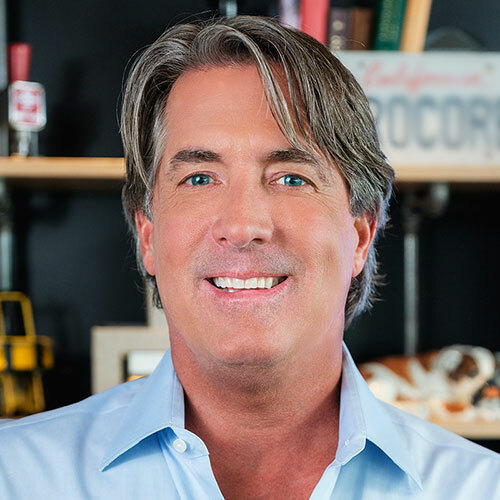 As the leader of this $250 million national division, David works with his teams to build the most complex, iconic, and luxurious retail projects. He brings 15 years of experience to Shawmut's executive leadership team and has a proven record of delivering successful projects for high-profile clients including Apple, Tom Ford, and Uniqlo. 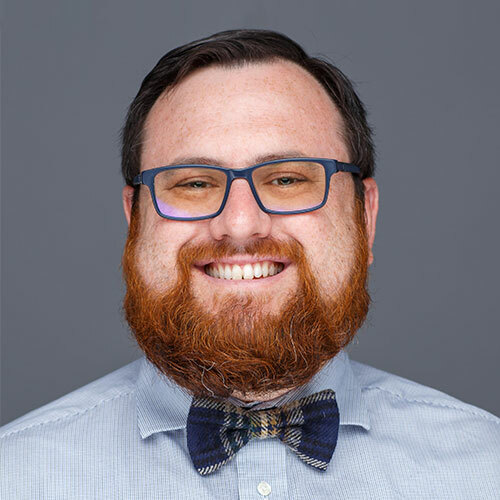 David received his Bachelor of Arts in Economics from the College of the Holy Cross and was recently named to design:retail's prestigious 40 Under 40 list. 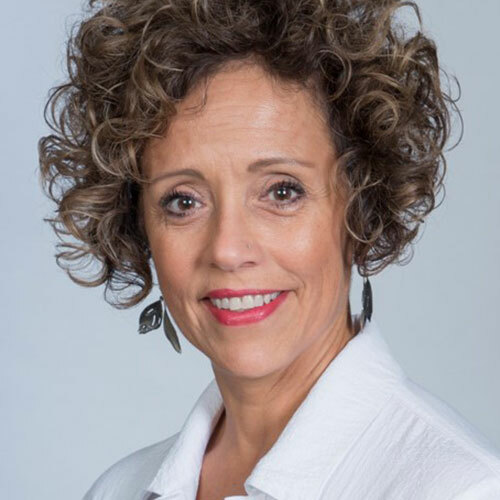 Dr. Giovanna Brasfield has over 18 years of experience in the California market in the fields of diversity & inclusion, leadership, public information distribution, outreach, and political involvement. 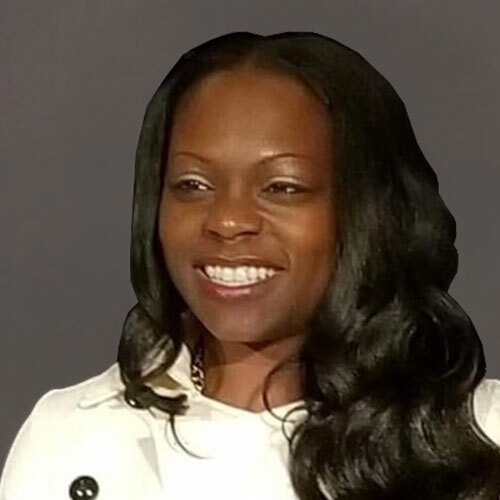 With her experience, Dr. Brasfield currently is the Southern California District Outreach and Diversity Manager for Hensel Phelps Construction. She has hands-on experience in small business advocacy and works with local, regional, state and federal inclusion programs that assist Hensel Phelps to maximize engagement of subcontractors, community agencies, and workforce. She has had increasing responsibility to develop and implement numerous small business plans, community relations strategy, charitable giving, and compliance programs for various types of projects throughout Southern California. Ivette Vanas started her professional career in the construction industry in 1988 and has been fortunate to work for two large construction companies over her 30-year career. 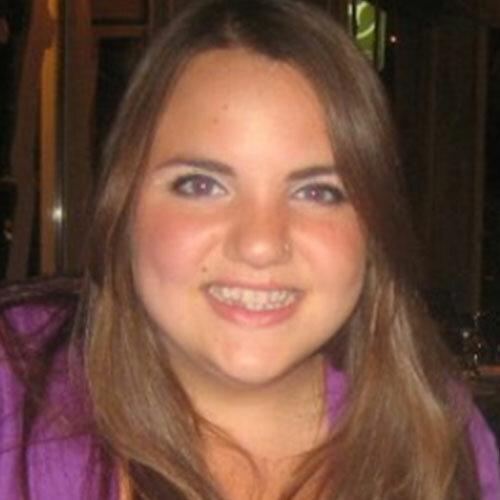 Her educational background is Accounting and Business Administration from Jersey City, NJ. 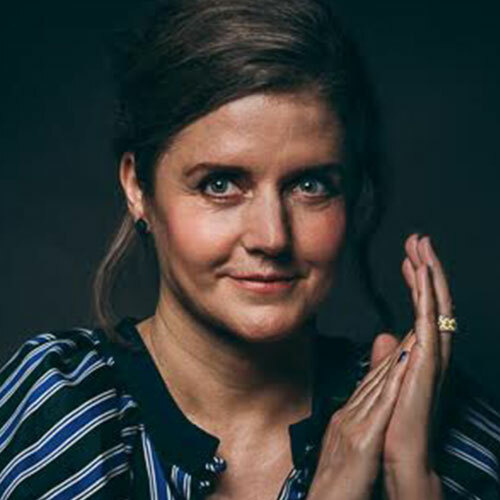 She holds a senior-level position in risk management as the SVP of Risk Management for Skanska USA Building, a multi-billion-dollar Construction and Development company, publicly-trading on the Swedish Stock Exchange. Kate Wilkinson is passionate about increasing the number of women, people of color, veterans, LGBTQ persons, and individuals with disabilities who work and thrive in the tech world. Born and raised in Washington, DC, Kate was involved with various political organizations and activities from a young age and continued that pursuit by studying political and feminist theory at Smith College in Northampton, MA. Kate brought her social justice knowledge and interest to Accruent, where she launched Accruent United, the company's first diversity & inclusion program. 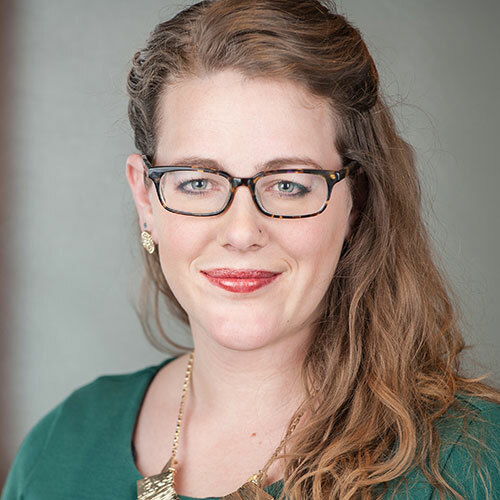 Kate is the Program Manager on Accruent's Culture & Engagement team; in addition to overseeing many company-wide culture programs, Kate sits on the leadership team of Accruent EmpoWer, the company's ERG for women in the workplace, and, in 2017, Kate launched Accruent Pride, Accruent's ERG for LGBTQ persons and allies. Jay has been in the engineering and construction industry throughout his entire career. 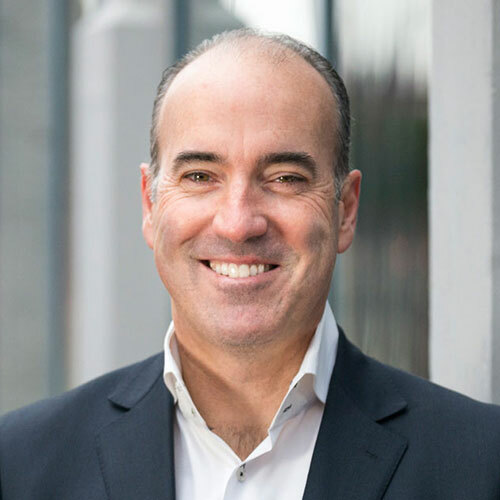 He has industry experience as a construction project executive, corporate director of planning, design and construction for a healthcare system, founder and managing partner of a risk management tech startup company and as a valued business consultant. Captain Keith Colburn is known to millions of television viewers as the captain of the Wizard on the hit television show, Deadliest Catch. Captain Keith is the very definition of the American success story. In 1985, Keith flew to Alaska with a one-way ticket, a backpack, and $50. Having no contacts or even the internet to research job opportunities, Keith took a gamble that his thirst for adventure and strong work ethic would be enough to land him a fishing job. 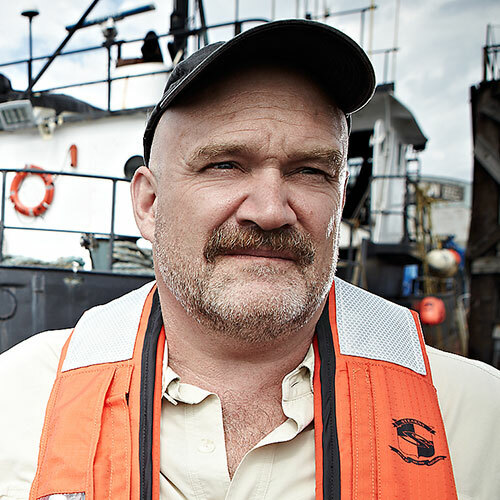 Today, 30 years later, Keith is not only one of the Bering Sea's most successful crabbers, but has become a formidable business icon outside of his success in the commercial fishing industry. Hitesh is a Construction Technologist with a demonstrated history of working in the construction industry across a wide variety of market sectors. Currently, he works at Roebbelen Contracting, Inc. as the Director of Technology Integration. 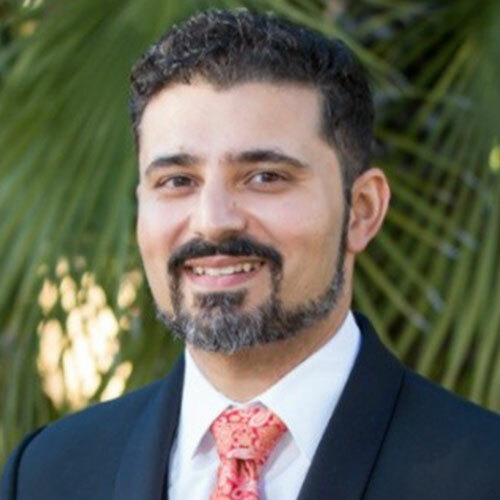 Hitesh is also currently an Adjunct Professor of Construction Management at UC Davis' Sacramento Campus and an avid guest lecturer for ACE/CREATE, California State University Sacramento, and various Industry Technology Panels such as DBIA, CFMA, SRBX, and more. 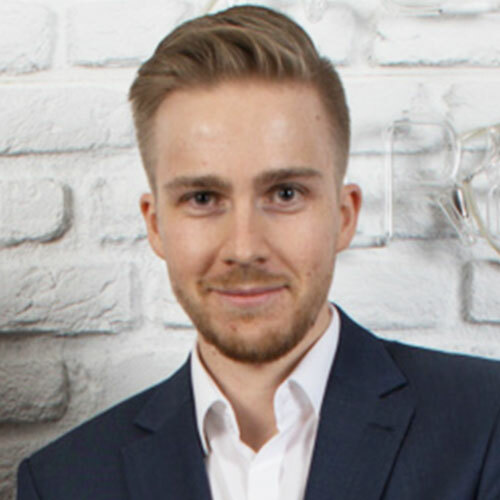 Artem is the CEO and Co-Founder of KEWAZO. Together with his team, they automate construction with robotics. Artem did his Master's Degree in Advanced Construction and Building Technology at the Technical University of Munich, Germany. During this program, he has received a holistic overview of past projects and trends in construction robotics. 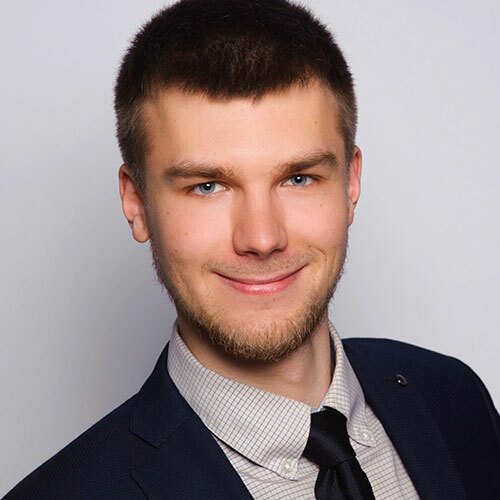 Before his arrival to Germany, Artem has studied Civil Engineering in Russia and worked as an operational manager in the logistics industry in the US. Kaleb oversees development of long-term strategic direction and key business initiatives. His desire to automate the building construction process led to his discovery of the innovative technology that now sets Genesis Dimensions apart as a leader in the market. 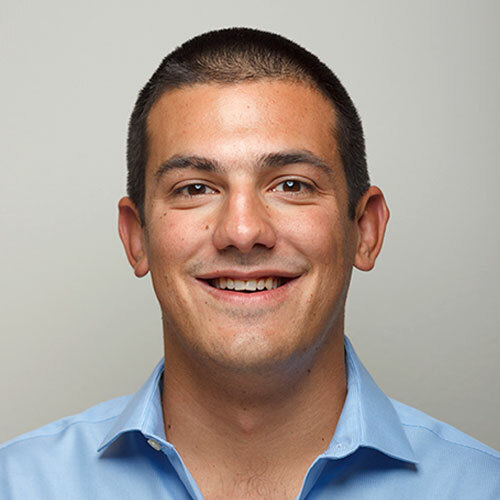 Prior to co-founding Genesis Dimensions, Kaleb was a business analyst for a venture capital firm. His primary responsibility was over seed stage investments in the energy and healthcare sectors. As such, he was actively involved in every stage of creation, implementation, and expansion of new business ideas. Scott has held various roles in engineering and management across a range of industries over the past 14 years. 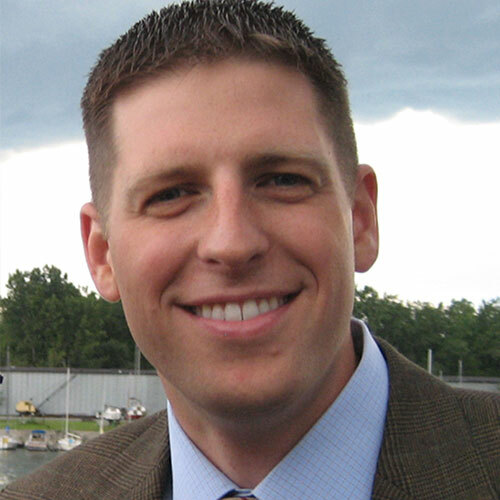 Scott has experience developing advanced manufacturing technologies and robotic automation concepts. At CR he has led the team from concept to completion of the world's first prototype Semi-Automated Masonry (SAM) robotic brick laying system. Scott is an inventor and entrepreneur and has invented technologies in numerous industries. As Vice President for Communication and Strategic Services, Craig is responsible for the company's overarching communications, brand strategy, and visual identity. He develops and implements a comprehensive strategic marketing and communications program to advance the image of Walsh at the local, state, national, and global level. He sets the vision and direction for the corporate Communications function, overseeing and managing strategic communications, media relations, marketing, publications, social media, and customer engagement initiatives. Craig leads marketing and communications resources across the company to build an aligned, comprehensive, and client-focused identity for Walsh. Paul joined Allan Myers in 1986 as a laborer and held positions in Estimating, Operations, and Human Resources. His past experiences led him to his current role as Vice President, Safety. Paul is the lead of all Home Safe Tonight strategies for the company. 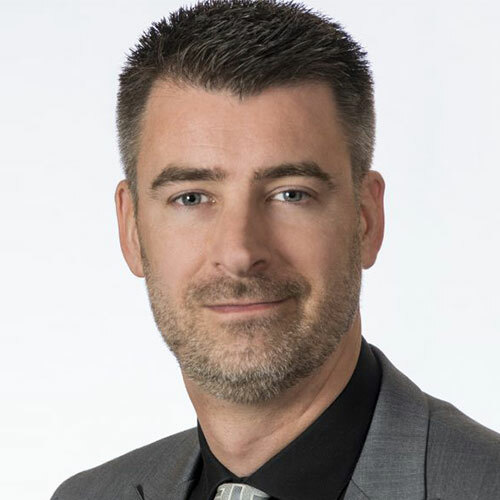 Paul is responsible for the development and implementation of the Allan Myers safety standards along with managing and leading a staff of 40 HSE professionals who collaboratively work with Operations to build a safety culture and who believe in incident—and injury—free. 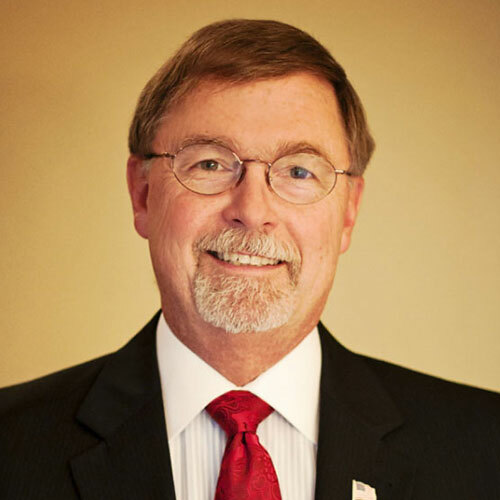 Paul is a member of the Allan Myers Senior Leadership Team and chairs the Safe Operations Leadership Team. After 20 years in industry as a chief estimator, senior project manager, and CEO of Design-Build Services Inc., and another 15 years developing design-build and integrated project delivery education at Cal Poly in San Luis Obispo CA, Barbara has returned to Colorado where her education and career in design and construction originally began. 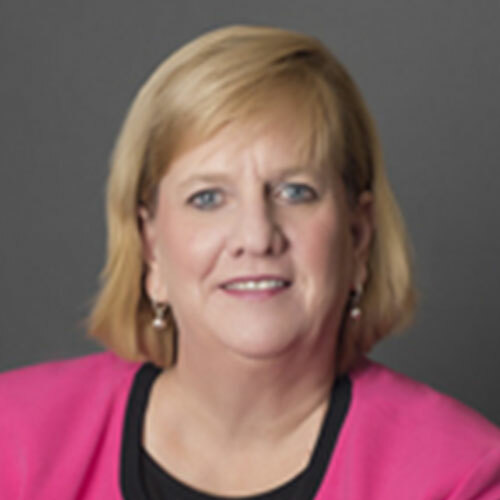 In August of 2013, Barbara took over the helm as the new Director of the Burns School of Real Estate and Construction Management at the University of Denver, in Denver, CO. There she has developed an educational model representing the full life-cycle of the built environment, and one of the most advanced Master degrees in Integrated Project Delivery, with an emphasis on Integrated Project Leadership. Karmyn oversees The Weitz Company's process and technology infrastructures, improving means and methods across the organization. Since joining Weitz in 1997, Karmyn has been involved in every facet of the company's IT strategy, successfully merging the disciplines of engineering and technology. 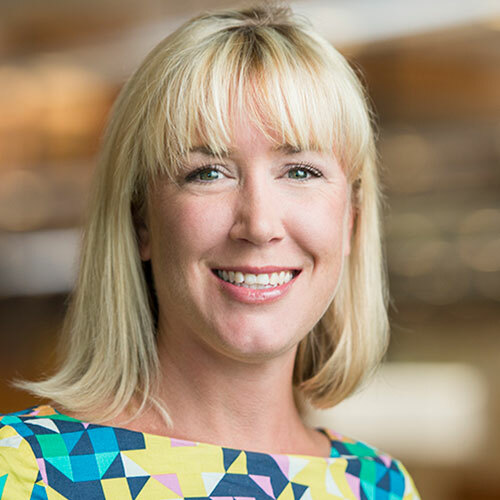 She leads the company's implementation of lean practices and is responsible for driving innovation and continuous improvements across the organization. With experience in Architectural Technologies and Construction Management, Julien is handling Swissroc Real Estate Group digital transformation. As a real innovation strategist, Julien has been working at the birth Swissroc, helping the group move from a small startup into a Swiss key player of Real Estate in just two years. Julien has implemented Procore at the early stage of the company. The management platform is helping Swissroc' architects, engineers, project managers and subcontractors alike to work in a seamless and productive way. His work processes are used by over 70 employees which form a strong operational and competitive advantage on a challenging market. Holly Cindell, recently took on the new challenge of starting a consulting company, Consults On Construction. In her current endeavor, Holly works with her industry clients to plan the work to achieve the best outcomes and to resolve all emerging issues. Previously, Holly worked for Lendlease US and was responsible for the overall management and direction of the preconstruction and construction efforts on Oceanwide Plaza, a "megaproject" consisting of three towers on a 4-acre site at the southeast corner of 11th Street and Figueroa Street directly across from the Staples Center and LA Live complex in Los Angeles. 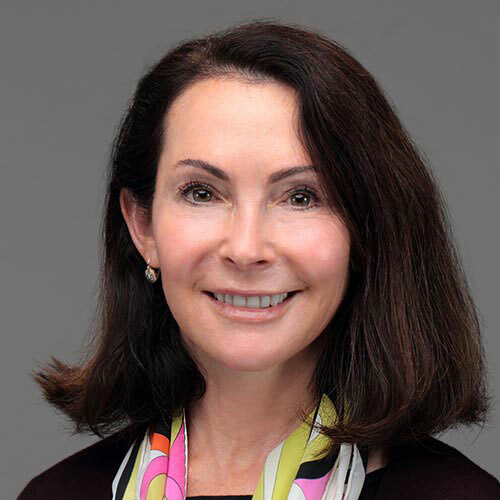 As a McCarthy employee since 1994, Sarah has excelled in numerous professional positions at McCarthy and, with her continued leadership, has been instrumental in the success of various institutional and commercial projects ranging in size from $20M to $650M. In 2013, Sarah co-founded the WiOPS (Women in Construction Operations) organization, to provide support and mentorship to women working in or considering careers in construction operations. Sarah is also an active member of AGC and DBIA. Kris has been a long-time construction technology evangelist and continues to push the construction industry forward. Prior to working at Procore, Kris was the Vice President of Operational Excellence at Stiles Corporation in Fort Lauderdale, Florida. Kris oversaw a team that leads many initiatives including Quality, Safety, Innovation, Training, VDC, and Financials. 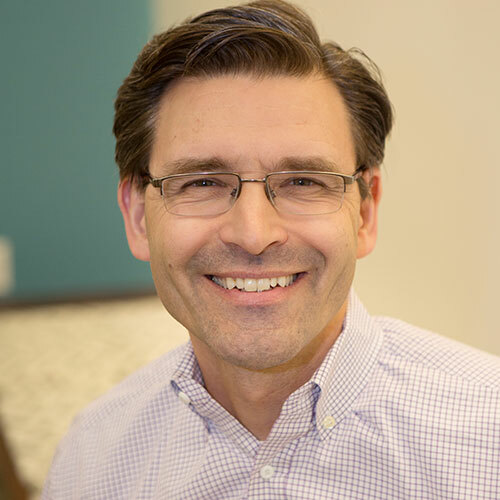 Kris has also been instrumental in the implementation of VDC, LEAN, and LEED principles at several other companies over the course of his career. 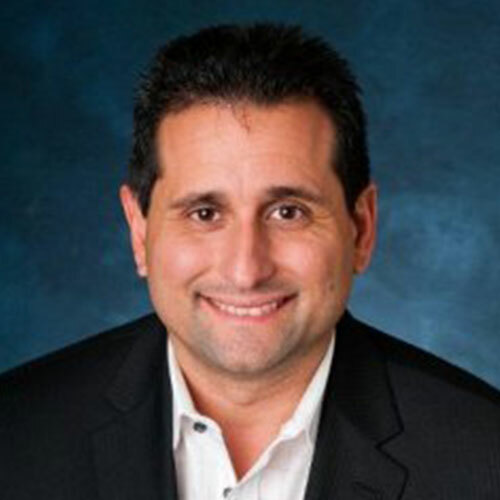 Mike Perozek heads up Smartvid.io's sales, marketing, partner, and customer success programs. Mike is passionate about helping customers adopt new technologies that drive meaningful business impacts. Prior to Smartvid.io, Mike built and led sales and customer success teams at leading vertical SaaS companies Buildium (real estate) and Bullhorn (recruiting/CRM). Mike's alma maters include Stanford University and MIT Sloan and when he's not working he's hanging out with his family, friends, and dog and spending as much time outdoors as possible. Educated and trained as an architect, Jacob D'Albora, throughout his career, has embraced and sought to maximize the use of Building Information Modeling (BIM). 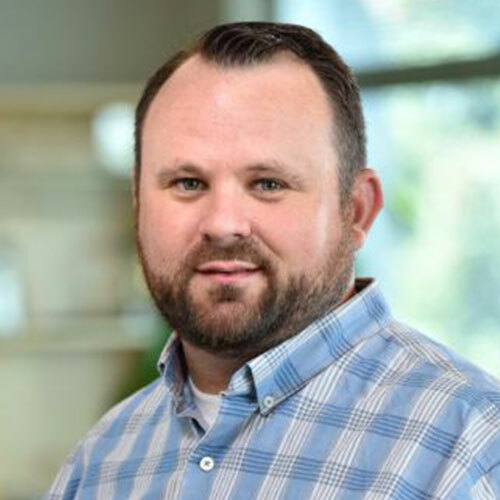 Graduating from UNC Charlotte with a Bachelor of Architecture, Jacob gained over 10 years of experience before becoming an integral part of the McVeigh & Mangum Engineering (MME) team, a full service, multi-office engineering firm. Laura is responsible for leading marketing strategy and business development for the U.S. property and buildings practice; managing a team of marketing and business developers and serves as a liaison across departments and market sectors. She is also responsible for identifying new product and service offerings; identifying strategic partnerships; and enhance the client experience. 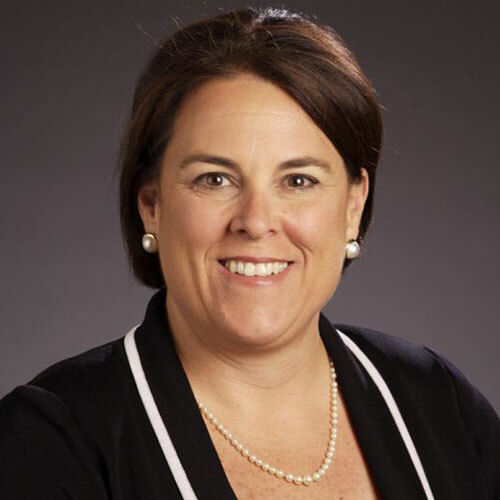 As a member of the Executive Leadership team, she also works closely with leadership to address key organizational issues such as recruiting, diversity, and employee engagement. 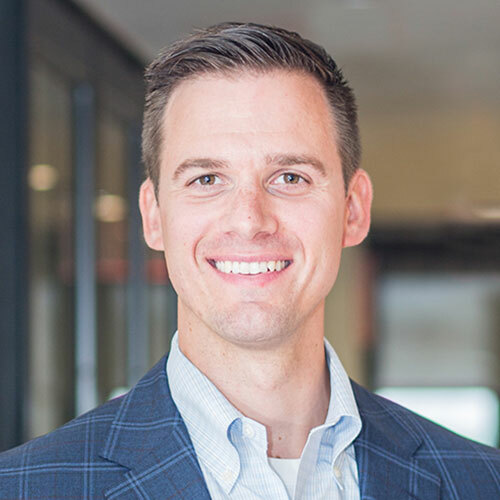 Greg leverages his passion and skills for technology and LEAN processes to lead the company's strategy and implementation of operational technology solutions. 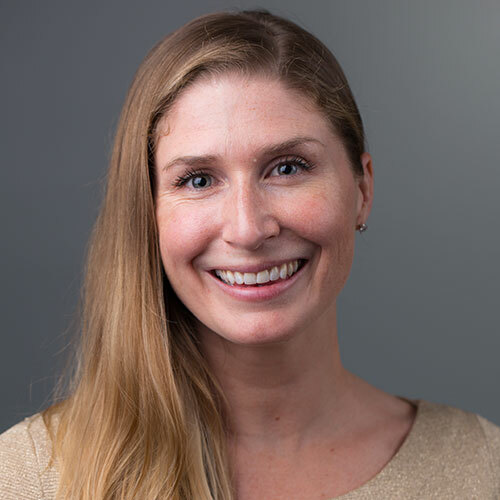 Lauren has worked in construction technology for six years, three of which have been with Procore, working side-by-side industry professionals in efforts to better understand how to help their teams utilize their data to better identify risk. She has developed programs that better engage field staff, drive metrics, and give companies the ability to make data-driven business decisions around their safety programs. She focuses on the ‘why' behind the behavior that leads to jobsite injuries, and she has a deeper interest in identifying how technology can be used to change behavior. Serving several safety positions at Brasfield & Gorrie, Lisa recently completed oversight of the safety efforts on the largest project in the company's history: the construction of the new home of the Atlanta Braves, SunTrust Park. Since joining Brasfield & Gorrie in 2004, the 29-year industry veteran has served many positions in her career from an onsite safety manager to regional safety director. 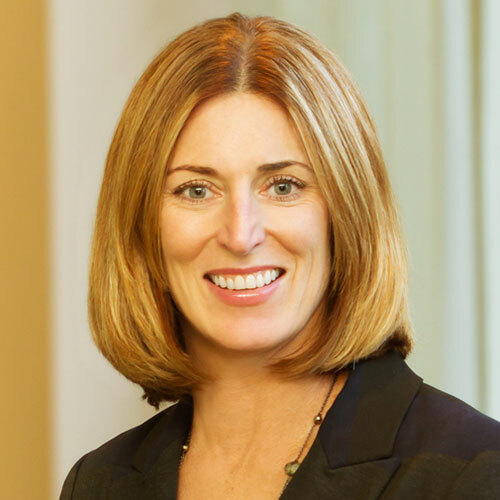 She is passionate about improving safety for the construction industry as a whole and continuously seeks opportunities to collaborate with regulatory, research, and trade organizations to establish and disseminate best practices. 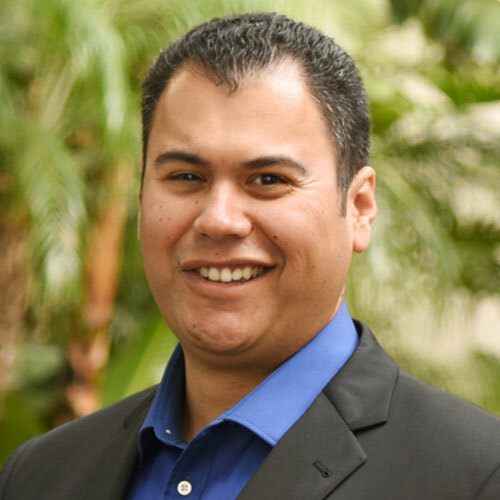 Felipe Engineer-Manriquez is an International Lean Speaker, a serial entrepreneur, and McCarthy Building Companies' first Corporate Lean Manager responsible for overseeing a comprehensive Lean program for the family of McCarthy Building Companies. Felipe is a committed Lean practitioner with over eight years of direct experience implementing Lean on a variety of construction projects. 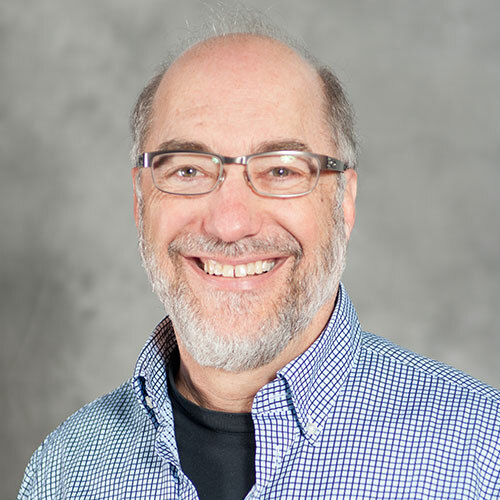 He is an active contributing member of the Lean Construction Institute and is an approved Last Planner System, Target Value Delivery, and Mindset of an Effective Big Room instructor/facilitator. As the Sustainability Manager at XL, Courtney is involved early in high performing project goal setting. From project pursuit through completion of construction, she aims to achieve the best balance of economic, environmental and social solutions for projects during design, pre-construction, construction, and early occupancy phases. 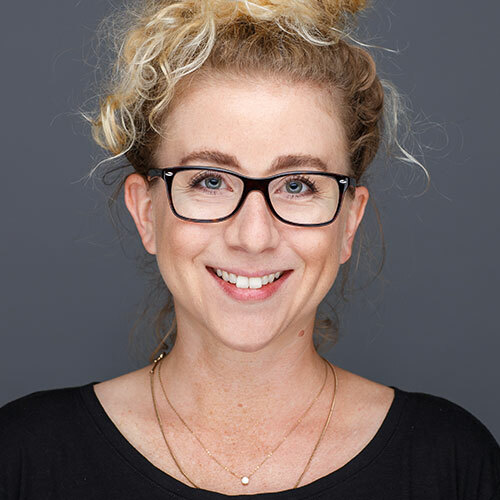 Courtney also has experience across multiple green building systems and works internally and externally to educate and move construction towards a more sustainable future. Stacey Harris, Project Superintendent with Consigli's Portland, Maine office, manages the construction of large-scale commercial projects. Currently guiding the building of ImmuCell's new manufacturing facility in Portland, Stacey brings clients and building teams her focused knowledge of life science and pharmaceutical facilities. Especially adept with Lean project delivery, Stacey's management style integrates Lean construction approaches. Andii Lee joined Procore in 2014, when, at just 75 people, the company was ready to begin a rapid growth phase. She built out the Talent Acquisition team and helped scale Procore at large to nearly 1,300 employees today. In her current role as Director of Talent Operations, she focuses on scaling the tools, processes, experience, and best practices that enable the Talent Acquisition team to continue fueling Procore's growth. Andii received her BA in English, with Honors, at UC Santa Barbara. Joe began his career teaching foreign languages to middle school students. After three years, he moved into the private sector teaching various computer applications, web design and database development. This opened the door to positions in corporate training and HR. Joe has worked extensively with interviewing, on-boarding, and recruiting employees due to the nature his role. He had the opportunity to build on-boarding and recruiting programs from scratch in addition to revamping existing processes. During the course of his 20+ years, he has seen his new-hires move up through the ranks to the level of executive for various GCs and Developers. Joe finds reward in bringing high quality talent into organizations, helping them to integrate and mentor them for growth. Hilarie Warren is a certified industrial hygienist with the state of Georgia's OSHA On-Site Consultation Program located at Georgia Tech. Hilarie joined the Consultation Program in 2005, and conducts on-site health hazard evaluations for businesses and contractors throughout the state of Georgia, with her area of specialty focusing on measuring and reducing silica exposures in a variety of construction trades. 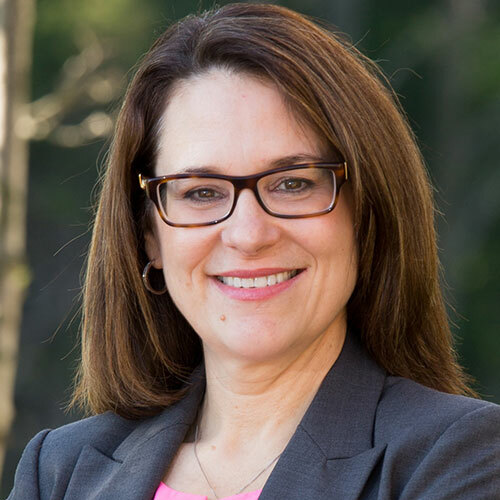 She is also Course Director for multiple professional education classes offered under the OSHA Training Institute at Georgia Tech, and is always working to find new ways to communicate and engage with employers and employees about risk prevention strategies. Before founding ImpactDEI, Christine McCarey founded and led RetailMeNot's D&I Program with committed colleagues. Under her leadership, the Program was recognized by Glass Door as #1 and Built in Austin as #2. She also founded and led RMN's D&I Council, Women@RMN (an employee resource group), and Legal Operations. Christine has held business development and legal roles, including as General Counsel. Christine supports emerging women leaders, particularly in underrepresented groups. She is a founding funder of Emerge Texas, which plans to recruit and train women who want to run for office. 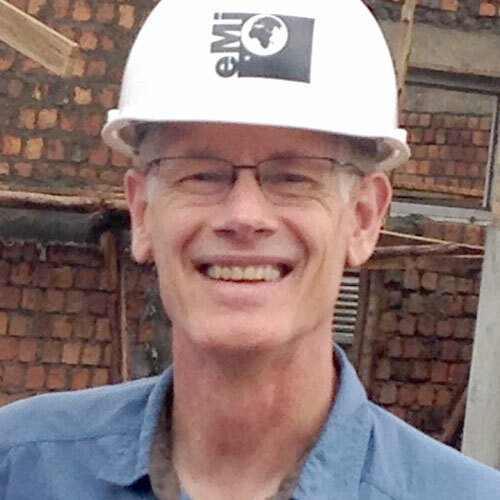 Gerry Hein is a veteran Operations Manager and Project Director for Hoffman Construction Company of Portland, Oregon, where he is currently providing collaborative leadership on the new $300 million Multnomah County Central Courthouse. Built on a downtown site, the 17-story, 420,000 SF courthouse will incorporate best standards, practices, and technology to meet the needs of a growing population, housing 44 courtrooms, the DA's office, judges' chambers, and secure holding for detainees. The building will surpass Multnomah County's MWESB and worker diversity participation goals, achieve LEED Gold certification, and is designed to retain functionality after a Cascadia Subduction Zone seismic event. 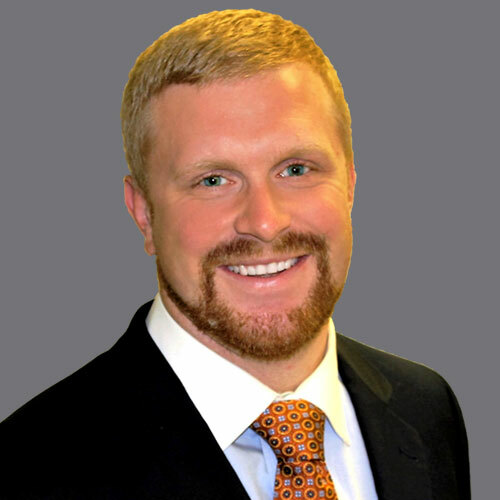 Hunter Minary's construction management and project engineer experience includes managing the project documentation and records for commercial projects such as project submittals, OAC meeting minutes, RFI's, change orders, stormwater management plans, closeout documents, and warranty work. Furthermore, Hunter has experience working closely with the project design team and the onsite Superintendent to provide the necessary project coordination to make the project work efficiently. 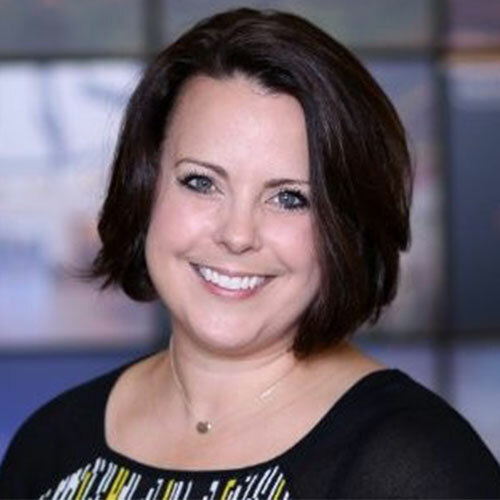 Michelle Greer is the Vice President of People, responsible for all aspects of Human Resources at Procore. She has designed and implemented multiple HR systems and practices, as well as designed and provided management and employee training across a variety of topics. 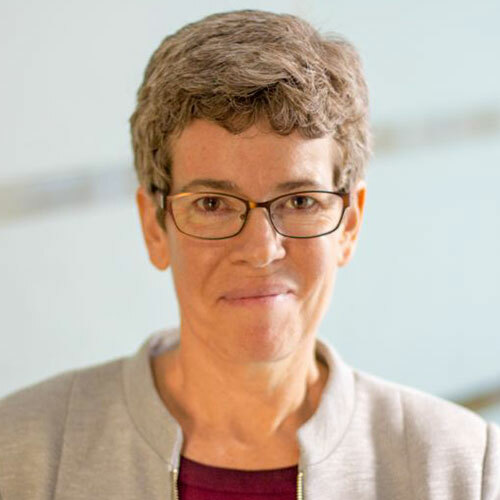 Prior to founding a successful HR consulting practice, Greer served as Vice President of Human Resources at SkyStream Networks, a computer networking company in Sunnyvale, CA. She formerly held other significant Human Resources positions within Hewlett-Packard, Apollo Computer, BayBanks Inc., and General Electric Company. 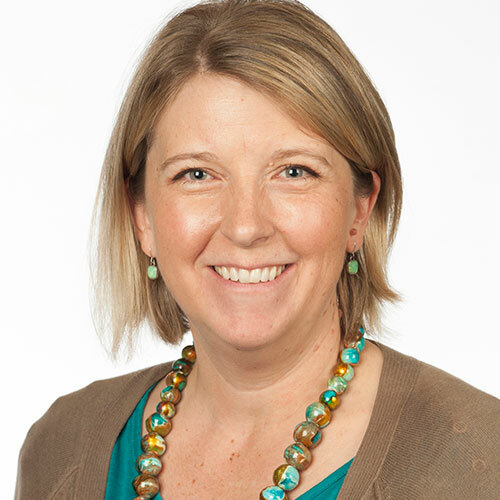 Michelle holds a BA in Psychology from Whitman College and an EdM from Harvard in Counseling and Consulting Psychology.